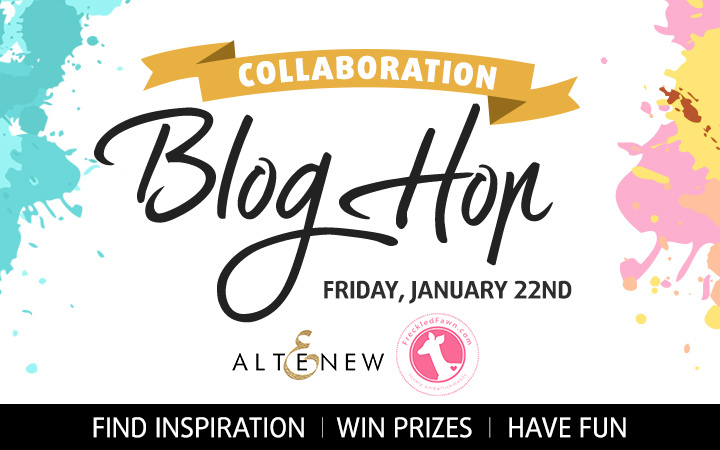 Welcome to Altenew & Freckled Fawn Collaboration blog hop! I will be showing two cards today. For the card below I pink embossed on vellum flowers and leaves from Altenew Peony Scrolls stamps set, created a floral cluster and adhered it to a card base. Next I adhered wooden hello word from FF Words Wood Chips set in the middle of the cluster. As mush as I love stamps, sometimes it can be hard to add a stamped sentiment to a card. So in this case I wouldn’t want to have a sentiment in any other spot but on the cluster. So the wooden word worked perfectly for this case. To finish off the card I added some wood dots here and there. The next card is the one I wanted to make for a while. I dreamed to make a card with a dreamcatcher and moon from Altenew To the Moon stamps set. And finally I got a chance to do it. Although my dream catcher is rather schematic, but I hope it at least recognizable haha. So first I stamped the moon using Altenew Sea Glass, Ocean Waves and Dusk inks. Next – inked the background using Distress inks (Tumbled Glass, Salty Ocean, Mermaid Lagoon and Hickory Smoke), to create this look of a night sky lightened by a moonlight. Next I adhered DREAM ON sentiment using FF Grey Puffy Alpha stickers onto the moon. Here it’s also a case when stamped sentiment wouldn’t work. Not speaking of customization an alphabet offers. Finally – adhered FF Feathers Wood Chips in the shape as a dream catcher ones would hang down (I inked them a bit with Distress Paint Weathered Wood). I wanted to add some strings or maybe a due cut circle, but this would be too much going on for one card. So I went with the lighter version. Altenew will have giveaways of two $30 Altenew gift certificates. Freckled Fawn will give away two Freckled Fawn OHDEERME kits valued at $27 Comments must be left by Tuesday, January 26 23 11:59 EST. Winners will be announced on the Altenew and Freckled Fawn blogs on January 28th. Keep hoping! Your next stop is Adrienne Alvis. Awesome card. I am starting to want that moon stamp what a great idea to use it. Love your flowers! I thought it was lace! I just love the peony stamps! I can’t wait to try this card! Thanks for the inspiration! Oh the peony scrolls. So beautiful. And the dream catcher is just perfect with those embellishments. Thanks for the inspiration. Two stunningly gorgeous cards! Love the vellum and wood veneer combo on the first card especially! Amazing how you maintained the CAS style with these embellishments. I LOVE the pink embossing on the vellum! It is so elegant! Really like those wood words! I love the velum flowers. I think that is just whimsical. Thank you for sharing! Love the feathers! So unique and fun! Вау, какие открытки! Оказывается как классно смотрится розовый эмбоссинг на кальке. I adore wood veneer and am so inspired by how you’ve used it on your cards! Thank you so much for sharing! I love the cards that you made. The feather wood veneers are awesome! Svitlana, the flowers on your first card look like real lace and you did a great job with the Dream On card. So beautiful! The feathers are a great touch! I adore your vellum flowers, both your cards are so wonderful Svitlana! Beautiful card love the elements. Lovely ideas! Thank you for sharing! Very creative cards – love that lacey flower! Your cards are perfectly wonderful! So clean and gorgeous! Two great companies! Love your cards especially the flower card! Love your cards and the wooden words. THANKS for sharing. Love the to the Moon set . Thanks for sharing. Both gorgeous CAS designs, love them!!! Beautiful cards, love the pretty peony with wood embellishments, and the To the Moon with the wooden feathers and puffy DREAM ON! I love your CAS designs. The wood embellishments are awesome. the vellum in your first card looked so soft and pretty and the “hello” was perfect for it. Awesome cards they are both adorable. Fabulous cards! I especially love the softness of the first. The pink flower look so lovely paired with all the neutrals. Gorgeous, beautiful cards! Love the simplicity of the flower card and the colors of the moon card. Great cards. Love the gorgeous flowers on the first one. Two beautiful cards! Love the wood chips! Love both the cards. The peonies on the vellum is so pretty. Very pretty! First one is so elegant and the colors on the second gorgeous! Lovely cards! Especially the craft one – love it! 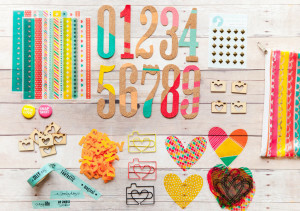 Great wooden embellishments! Great new release! Super fun cards! God bless ? These cards are great. I love the beauty and simplicity of the first one and the second one is lovely as well. I LOVE a pretty distressed background. (I can’t get enough of them! LOL) TFS! I love this cards, the one with the vellum embossed Peony is just gorgeous. The wooden embellishments on both your cards are beautiful details. Спасибо, Алина! Я сама так полюбила эту открытку! Very lovely cards. Love the lace like flowers on the first card! The second card is so striking-great layout & colors! Ok, I really want to CASE this some day!! LOVE the pink embossed peonies on vellum over kraft!! Love these CAS cards…the first one is so delicate! Sweet cards!! I love the pink flowers on vellum!! I’m in love with first card)) Colors are amzing! Your dream catcher card is just beautiful! It exudes such peace and calmness. It would be perfect for someone about to give up on their dreams because of the challenges to achieve them. But I bet it would be great for so many other reasons too! I just love it!!! The peony flowers look like delicate embroidered lace. You made good use of the wood embellishments. The dream catcher card is brilliant! perfectly understated. That first card is now on my CAS Pinterest board! Love the wood dots too! Well done, Svitlana! Beautiful and clever! Beautiful card, love the delicate flowers!! The simplicity of the cards gives the sentiment a bold statement :)))) thank you for sharing this sweet inspiration! Great cards… Love the peony card – simple, but elegant! Thanks for sharing! Gorgeous cards!!! And those wood dots! Awesome cards. I love the pink on the first and the second one is so cool. Good job. Pretty cards! I love the pink against the Kraft cardstock on the first one and the vibrant blue and feathers on the second one. Thanks for sharing. Love the pink peonies! The feathers card does give the feel of a dreamcatcher! Beautiful cards! I love those wood dots and the vellum on the first and gorgeous inking on the second! I love both of your card… the style cas is never easy to realize! Beautiful cards. 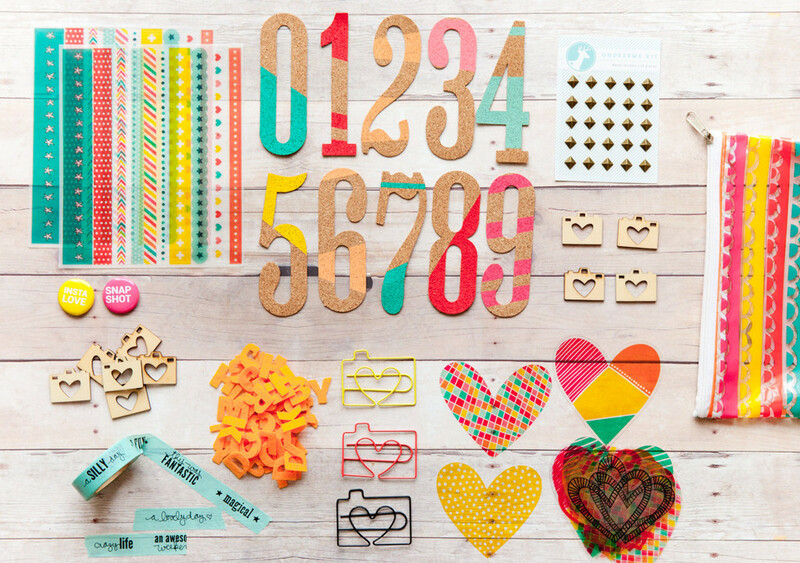 love how you’ve combined the elements from both companies to create youn CAS creations. The hellow card is gorgeous CAS card! Love the simplicity on it. 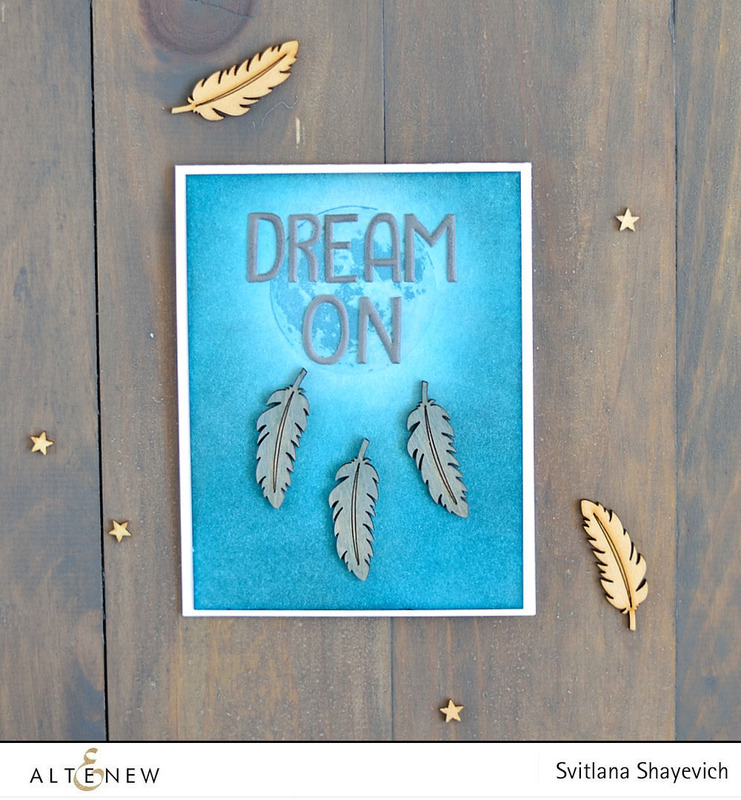 And the dream card is fabulous, love the feathers and color. So beautiful card, I like using the Feathers as a dream catcher. Oh, these are both fabulous! I love your vellum card!!! It’s so elegant!! Very beautiful card!!!! I love colors and clean&simple! Your composition is delicius! You English is great. An nobody cares about those articles hahaha. I’m so glad you liked my cards. Thank you a lot, sweetie!